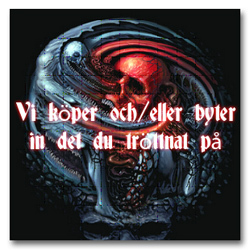 Norwegian pressed music cassette. Grey cassette with black paper label. 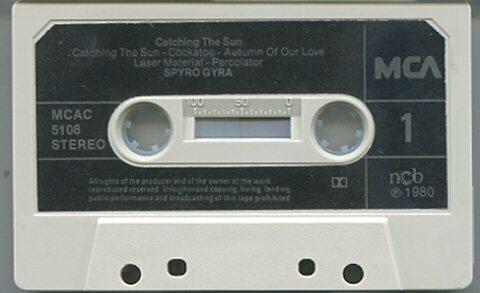 Catching the Sun is one among many similar-sounding but highly popular albums by premier fusion ensemble Spyro Gyra. The group’s songs usually contained catchy melodies, prominent backbeats, and some room for improvisational expression, although it was limited and required quick bursts rather than expansive statements. They were and still are near the top in the light jazz and fusion field. Just listen to the opening notes of the title tune – the smooth of Smooth Jazz, followed by Jay Beckenstein’s wonderful melody on his alto sax, a quantum level above Kenny G’s joyless neurotic soprano twitterings that would give this genre its bad rep thereafter. 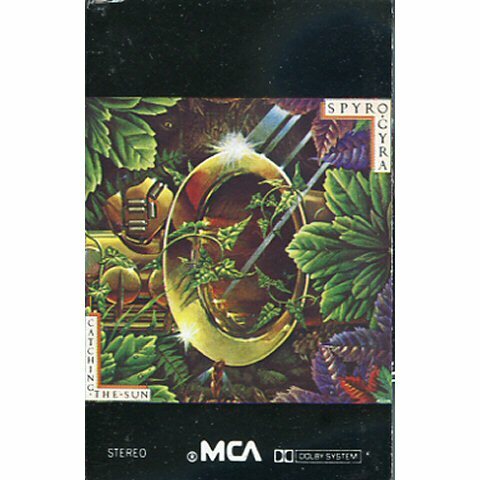 This may be light jazz, whatever that is, but I have always experienced nothing but joy from Spyro Gyra’s version of it. Cockatoo might be a play on words and the tune suggests a double meaning in its layers of blatantly 70s funk infused with Jay’s sax-soloed saving graces. Autumn Of Love was about the conflict in Sudan. No, it was about what the title said, and there is still no argument against it; while Laser Material can only be described as some galactic pre-Internet cyberfunk. But the standout for me has always been Percolator. Why it was not a top-40 hit has always escaped me. Philly melds big band with piano and guitar, and if there was such a thing as Anthem Light Jazz, this would be it. The earnest and danceable Lovin’ You captures some kind of rapture in synth, guitar and Jay, and a lot of drums, for some girl who must have been worth it. The Latin-flavoured Here Again is the real antidote to Kenny G, with Jay flouncing his soprano sax without a care for whether the babes get it or not. And there’s that grand piano again. And even some marimba. Safari gives you the big band sound again with trombone and what seems like 1st, 2nd, and third sax harmonies, and brass backing, with flourishes of synth, electric piano, and even more marimba. More marimba! In 1980. Maybe they were inspired by Starbuck and their moonlight that feels right… Regardless, a number to say ‘hope you liked it, thanks, and bye until our next record’, fading out with a sweet solo by Jay, just as it started.